Voopoo Uforce 8ml Extension Glass | Electronic Cigarette Co.
We receive these items in boxes of 3 and separate them so you can buy them individually. 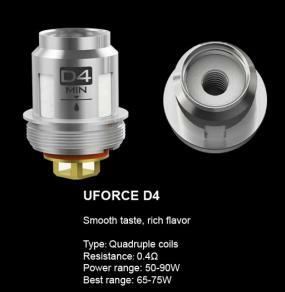 So please bear in mind your item may not come in a Voopoo box. 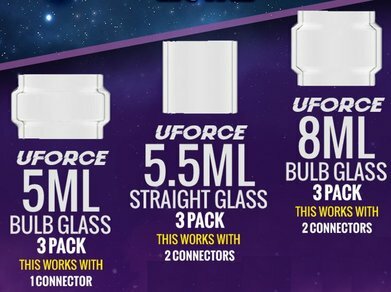 The UForce T1 TPD stand alone version does not come with the connector. 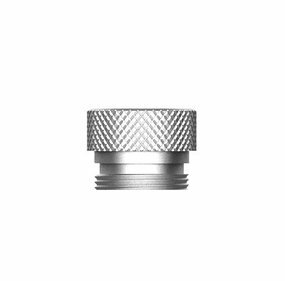 This tank has a 1.8ml straight glass with a rubber bung. 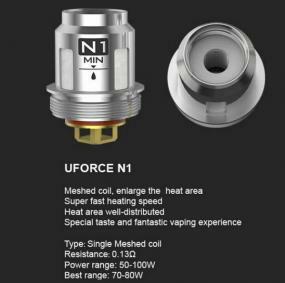 If you remove the rubber bung the capacity increases from 1.8ml to 3.5ml. 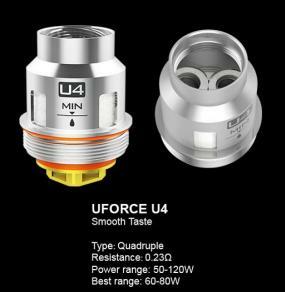 The capacity of the original UForce and UForce T1 (stand alone tanks only) can be increased simply by adding the 5ml bubble glass. 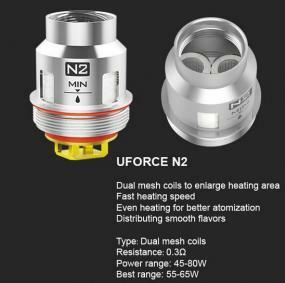 If you want to increase to 8ml with these tanks you will need a connector too. 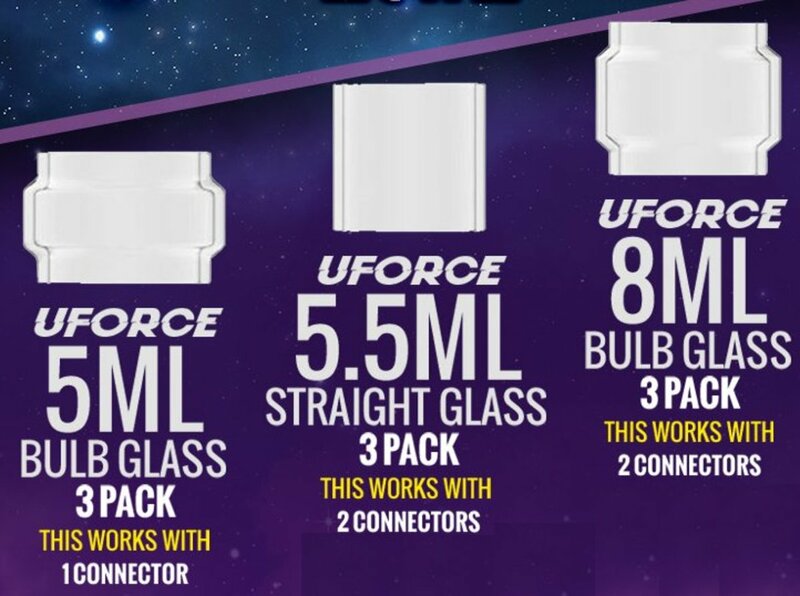 So, if you have the original UForce or the UForce T1 TPD stand alone version you can use the 5ml bubble glass without the need for the connector, or the 8ml bubble glass with a connector too. 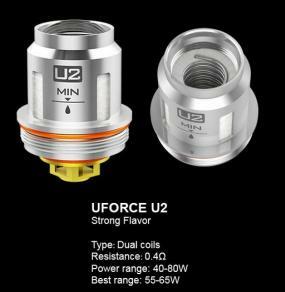 If you have the UForce T2 tank, which comes with the Drag Mini kit, you will need one connector with a 5ml bubble glass and two connectors with the 8ml glass. 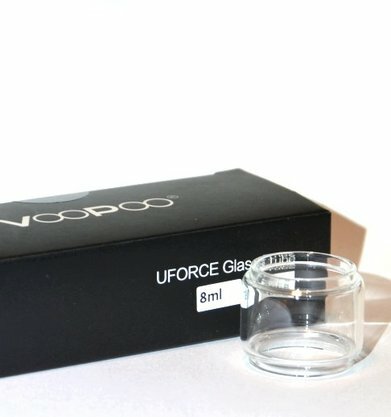 1 x Voopoo Uforce 8ml Bubble Glass.